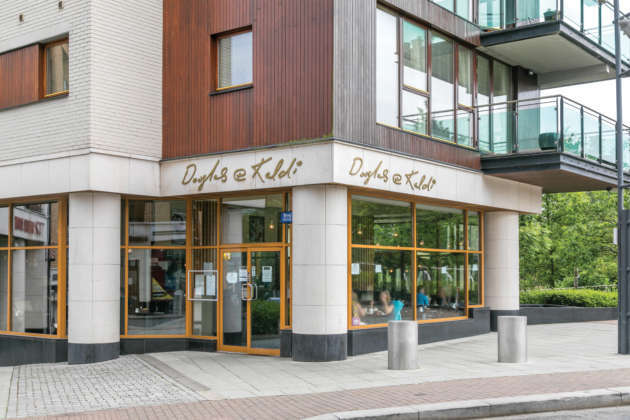 What better place to kick off our new series ‘Where To Eat’ than a firm favourite of ours and Rathborne residents – Douglas & Kaldi in Ashtown. Hungry from our early Friday morning start on site and seeking shelter from the torrential Dublin rain we took up residence in a cosy corner in the window of Ashtown’s favourite breakfast haunt. Breakfast runs until 4pm daily with many firm favourites on the menu. 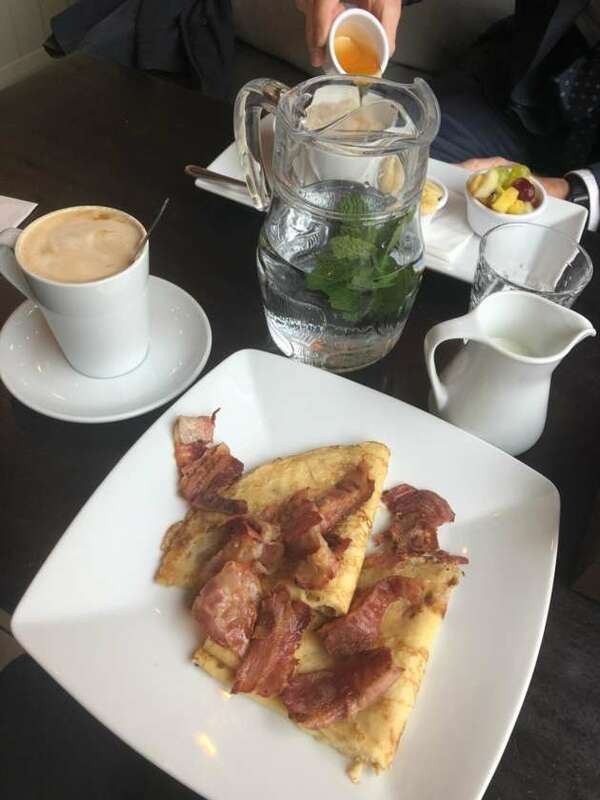 We opted for pancakes with maple syrup and bacon and porridge topped with fruit and honey with two steaming lattes on the side. The pancakes were large, light and fluffy offset by crispy and delicious bacon it made for the perfect combination. The creamy, warming porridge was just what was needed on a cold-enough Autumn morning. Like my pancakes, the porridge came in generous proportion although we still made room for more! As we sipped on our coffees the smell of freshly baked goods wafted through the restaurant and with one look we knew we had to try something. We swiftly ordered a warmed blueberry muffin to complete our breakfast feast. We were not disappointed, our muffin arrived - perfectly heated and delightfully fluffy and bursting with blueberry goodness. Although busy for so early on a Friday we sat and chatted for another few minutes and watched the world go by through the giant street-facing windows. There was no pressure to leave from the polite and welcoming waitress. We left with full bellies and smiles on our faces. Overall, we both really enjoyed our food and experience in Douglas and Kaldi and we will definitely be returning again one Friday! Rathborne Park is a brand-new development of 3 & 4 bedroom houses close to Ashtown train station, Rathborne Village, Dublin city centre and the magnificent Phoenix Park.